Children are the future of tomorrow. What we sow in their minds today is going to bud later and nurture the garden with fresh new ideas and make the world a better place. Our little Einstein and Mozart have ginormous inquisitiveness paddling in their minds. Aren’t they always curious? Nagging us elders all the time about every single thing? I read it a few years back that what we learn up to 5 years of age is the maximum we learn. So aren’t we supposed to nurture our children with the best possible knowledge? The Internet has everything that one needs today. But all the content that’s available may not be child types. Hence we being parents have to be careful. Well, today we have come up with the panacea for worried parents and curious little ones. 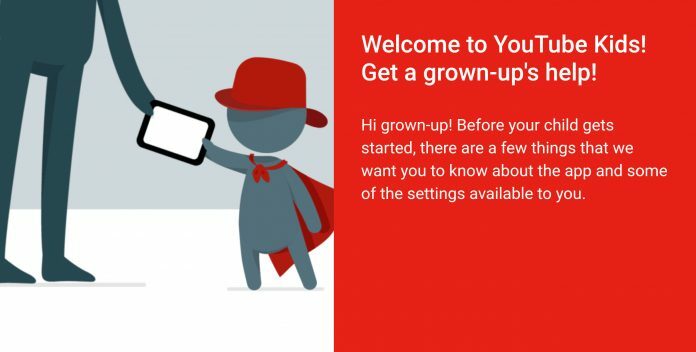 YouTube kids – a perfect realm to tame young minds and help them grow. What exactly is YouTube Kids? YouTube a is an app, officially meant for children. All content suits their age type. So parents need not worry about keeping tabs on their children. They are in safe hands, Also it has videos from teachers, film-makers and creative work from all over the world. The videos are interactive, creative and have a lot to give to children. What’s so special about YouTube Kids? YouTube is always beyond child’s understanding. The mode of action, the management and especially the content isn’t filtered enough to be left alone with a child. So designers came up with a kid version of YouTube which has instant fullscreen, big buttons for child’s understanding and very easy scrolling to their domains of interest. Don’t we all love Disney, DreamWorks so much? Well, YouTube kids have sesame street, Thomas & friends, DreamWorks, online hits like mother goose club. Isn’t it just amazing? To top it all it has a lot’s of songs to make the children dance. It also has great games that help the children play with their minds and numerous collection of the , science, crafts and a lot more to explore and learn. We as parents always worry that our kid us going to fall in wrong hands and thus it doubles are the duty as a parent. Not to worry, YouTube Kids has filtered material. When the child enters the apps they will find a wide arena of channels to select and get into their respective areas if interest. Parents can always keep a tab in their children. And notify YouTube from the app itself in case they sense anything or activity that is not good for the child. Well, Parents want their child to learn some limited things they can always turn off the search engine and let the child revel on the contained videos in the app. Don’t we parents hate when our child spends the entire day before the laptop? Well for that YouTube Kids has a self-timer. This timer switches off YouTube in a specific time! The child has to dash off board! It also has a grown lock!! Well to me YouTube Kids is a safe app, I can let my children browse and learn. And stay relaxed while my child gets to learn about the world. Well, there are a few problems with parental control. But overall it’s just too great and helpful to carve our young Mozarts and Einsteins on way!! !